What can that GamePad really do? Update: Want a Wii U this holiday season? Here are the best Nintendo Wii U and 3DS deals around. After placing third in a console generation with the GameCube, Nintendo showed that it was no longer willing to compete strictly on software with the 2006 launch of the Wii. The platform proved a phenomenon thanks to its motion controls, ease of use, and low price point, and while it may not have held sway with core gamers for long, the Wii showed that Nintendo could still work wonders with innovation. 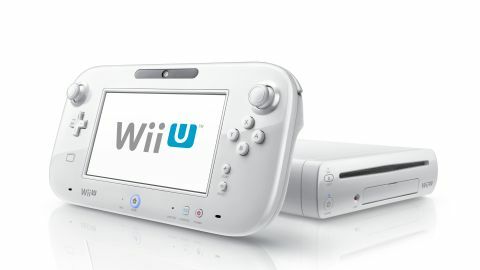 The Wii U is the next step, and like its predecessor, it's something different from the pack. A brand new standalone console, the Wii U may initially offer graphics power comparable to the Xbox 360 and PlayStation 3, both of which have been on the market for several years, but that's not its main selling point. What sets the platform apart is its focus on the new Wii U GamePad, a large amalgamation of a traditional controller and a tablet, featuring a 6.2-inch touch display that can work in tandem with what's being shown on your TV. It's the center of the Wii U experience – a single, wireless input device that includes a bit of everything. In addition to the large screen, it includes two analog sticks, a directional pad, eight input buttons, a front-facing camera, and an NFC (Near Field Communication) sensor. It can even control your television. And much as the GamePad is designed to supplement your big-screen games, whether as a standard controller, a screen for map and inventory info, or one of many other inventive uses, it can also work independently from the TV. Turn on the GamePad (which likewise activates the console) and many titles can be played entirely from the small screen, even in another room – though range varies. The Wii U ships with a single GamePad, and while future games may support two, none do as of now – and they're not sold separately. Multiplayer games still utilize the last console's wand-like Wii Remotes and Nunchuk attachments, plus the new Wii U Pro Controller bears a striking resemblance to an Xbox 360 controller. Beyond the innovative GamePad, the Wii U in many other ways seems intent on rising to the level of the Xbox 360 and PlayStation 3. While the Wii was a smashing success, its lack of high definition output – plus graphics technology barely above that of the previous generation of consoles – dated it quickly as HDTV sales surged and streaming media took off. Early Wii U launch titles look very similar to current games on the other home consoles – in part because many of the launch titles are top games from other systems, albeit with modifications and enhancements. For Nintendo's part, the company has finally ushered some of its franchises into high definition with New Super Mario Bros. U and Nintendo Land. And the Wii U is positioned as the center of your digital universe, though it's not quite ready to fill that role. Netflix is available, but apps for Hulu Plus, Amazon Instant Video, and YouTube – visible on the home screen – won't be activated for weeks, and the big Nintendo TiVii feature that lets users track and find their favorite media across services (as well as interact with TiVo boxes) won't be out until December. At least you can control your TV and cable box with the GamePad. Considering its myriad parts, the Wii U seems to offer a mix of the new and novel and the old and familiar – but what is its worth to both owners of other current game consoles as well as those looking to upgrade from the Wii? And do its initial game offerings warrant early adoption, or should curious parties wait and see how it takes hold in the market?